The outcome of different processes in oil refineries is production of hazardous wastes containing toxic and hardly degradable compounds. 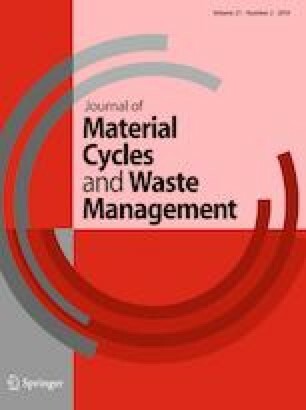 Use of chemical processes before bioremediation for faster degradation of heavy and hardly biodegradable compounds can be a solution to enhance the degradability of oily sludge. Thus, the aim of the present study is to investigate the efficiency by ozone oxidant in enhancing the degradability of TPH in oily sludge. The design of experiments of ozonation process was under different conditions with the one-factor-at-a-time approach. 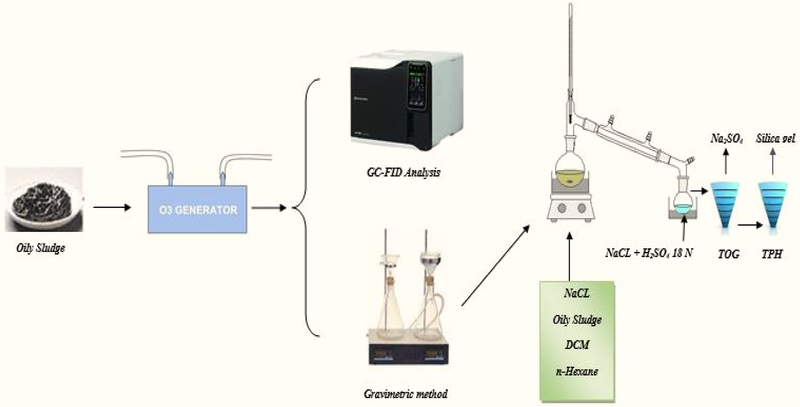 The concentration of the oily hydrocarbons was determined using gravimetric method. The results indicated that the optimal conditions for TPH removal by ozonation process involved pH = 11, within 4 h with ozone concentration of 10 mg/min, which output an efficiency of 23.8%. Results showed the TPH degradation by ozonation process was well fitted to pseudo-first-order kinetic model with determination coefficient of more than 97%. This study indicated that chemical treatment alone cannot guarantee the treatment of TPH under typical conditions. However, reducing the amount of compounds with higher molecular weight and predominating compounds with lower carbon content is an effective option to enhance the degradability of compounds with high molecular weight as a pretreatment for biological processes. Ozonation process was tested for TPH degradation in oily sludge. The Gravimetric method was used to determine the concentration of TPH and Iatroscan TLC-FID was used for SARA analysis. The GC-FID was used to determine the PHCs fraction analysis. The ozonation process is an effective method for increasing the degradability of TPH in oily sludge. The TPH degradation was more consistent with the ozonation process with a coefficient of more than 97% with pseudo first order reactions. The authors would like to gratefully appreciate Iran University of Medical Sciences for financial support (Grant No. 95-03-27-29464).